All seedboxes include a complimentary VPN service in order to be able to browse the web anonymously. All you need is a VPN client installed and configured in order to establish a secure and encrypted connection to our servers. After a successful connection, all your pc traffic will be encrypted and tunneled via our servers to the web. This results in actually using our server's IP to browse the web, instead of yours. Please note that with this way you forward ALL your pc's traffic through the tunnel. This might slow down your PC, if you use it for other purposes other than browsing. If you just want to tunnel your browser traffic, while all other applications have normal access to the Internet, please try this instead. 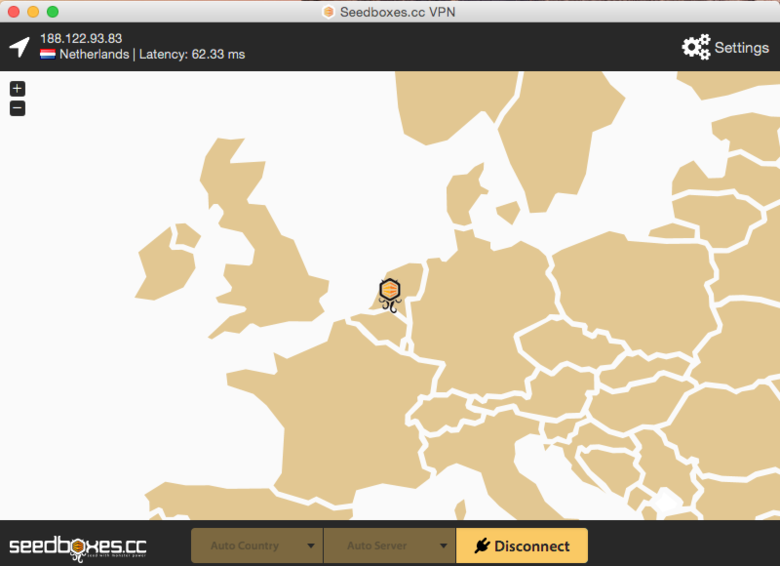 The easiest way to use our VPN service, is to download the Seedboxes VPN app, available for Windows and MacOSX. It is the simplest and most elegant way to be able to switch among different servers and countries, just with a click of a button. All the certificates and configuration files you will need can be downloaded with 1 click, from within your client area. In your dashboard, click "Manage Seedbox". 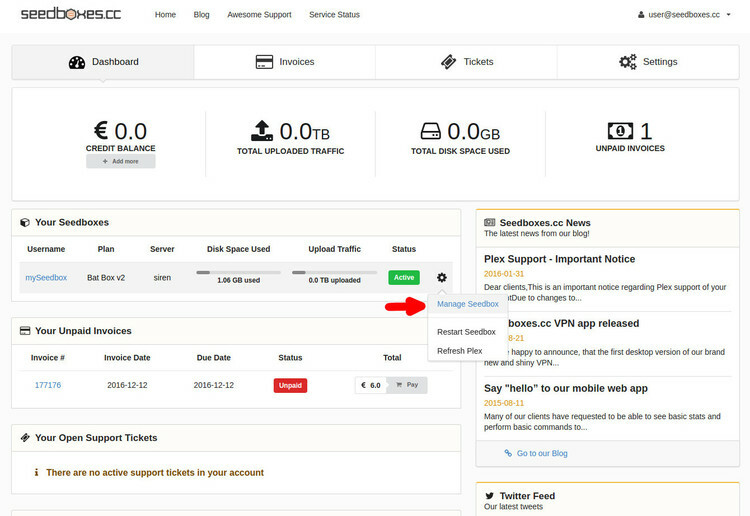 Navigate to the vpn tab of your seedbox. I would like to know if it is possible to have ports forwarded while using the VPN so my Plex Server can run remotley. Not a huge issue if it can't but sure would like that. 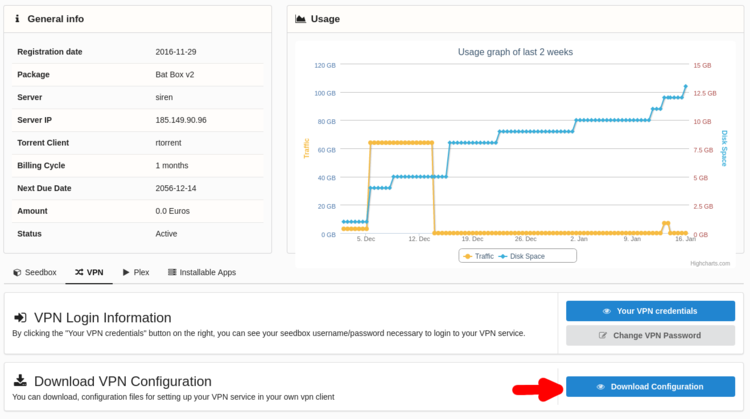 Does using the VPN service charge against our upload allotment? No it is not possible as we do not support port forwarding. Any guide/app for linux ? Would it be possible to include DNS leak protection? Virtually anyone on Windows 10 is using this VPN thinking they are safe, but they are not at all. Is this something that could be looked into? Where can I get a list of servers?